British swimmers passed the 100 medal mark on day five of the European Swimming Championships in Slovenia. 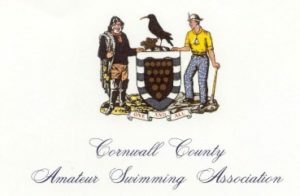 It was their most successful day in the pool so far as they claimed a total of 33 podium places to take the medal haul to 119. Kathleen Tunnicliffe was victorious in the 65-69 age group after clocking 3:22.04. The Black Country n Potteries swimmer was a comfortable 5.71 seconds ahead of Israel’s Rona Joffe, who was second in a time of 3:27.75. Holywell SC’s Nicola Latty also topped the podium in the 45-49 years race. Her time of 2:40.58 was enough to take the gold medal ahead of Germany’s Carola Ruwoldt (2:44.47). 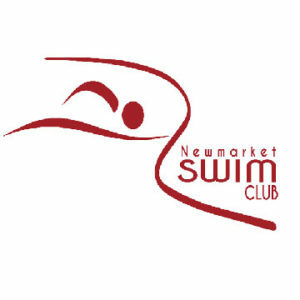 Fareham Nomads’ Laura Molyneaux just missed out on a gold by 0.09 seconds in the 30-34 age group. She clocked 2:29.39 to finish behind Hungary’s Nikolett Szepesi (2:29.30). 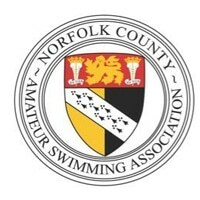 Grace Isaac, of Spencer Swim Team, finished second in the 85-89 age group in a time of 5:47.63, while her club-mate Amanda Heath also took a silver in the 60-64 race after clocking 3:15.85. Southport SC’s Helen Jenkins touched home in 3:36.64 to take bronze in the 70-74 age group, while Jennifer Budden, of Broomfield Park SC, was also third in the 25-29 race in 2:34.11. John Molyneaux was more than two seconds clear of the field as he won gold in the 30-34 age group. 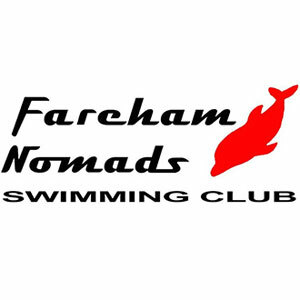 The Fareham Nomads SC swimmer clocked 2:11.94 to touch home first ahead of Italy’s Andrea Maniero (2:14.05). Trafford Metro Borough SC’s Alec Johnson took the bronze medal in the 55-59 age group in a time of 2:34.49. He was 8.17 seconds behind Poland’s Zbigniew Januskiewicz, who won the gold in a new European record of 2:26.32. Eight medals were won by British swimmers in the Women’s 50m Butterfly races. There was a Brit one-two in the 45-49 age group, with Free Style SC’s Susan Fraser touching home first in 32.22 ahead of Dundee City Aquatics’ Jane Grant who clocked 32.53. Lindsey Gowland, of Black Country n Potteries, triumphed in the 60-64 age group in a time of 34.78. She was joined on the podium by Mid Sussex Merlins’ Sally Mills, who was the bronze medallist after finishing in 35.40. Two medals were also won the 55-59 years race. Debbie Matless, of East Anglian Swallow Tails, won the silver medal in 32.59, only 0.03 seconds ahead of Dawn Coleman, of Arbroath ST Thomas, who took third in 32.62. Sweden’s Maria Norberg won the gold medal in a new European best time of 31.60. GB Police’s Aimee Ramm was 0.10 seconds behind Spain’s Vanessa Lopez as she won a silver medal in the 35-39 age group. Ramm finished in 29.88, only 0.02 ahead of third-placed Anna Dudd, of Poland, with Lopez clocking 29.78 to take gold in a thrilling race. And Fareham Nomads’ Noemie Plumridge won a bronze in the 30-34 race after recording a time of 30.59. Alec Johnson claimed his second medal of the day – this time gold – after winning the 55-59 age group. He clocked 28.02 and was 0.81 seconds ahead of Switzerland’s Craig Norrey, who took the silver (28.83). Musselburgh Amateur SC’s Ian McKay was third in the 6-64 age group after finishing in 29.63. Jane Asher, of Kings Cormorant, secured another medal in 85-89 age group as she won gold in a time of 1:35.13. Jane Grant was also first in the 45-49 age group as she finished in 1:03.59. Alison Gwynn was only 0.21 seconds behind the gold medallist as she took silver in the 70-74 age group. The Mid Sussex Marlins swimmer touched home in 1:20.41 with Germany’s Brigitte Merten just ahead in 1:20.20. Kathleen Tunnicliffe was also a silver medallist in the 65-69 age group in a time of 1:17.33. Lindsey Gowland picked up her second medal of the day as she beat compatriot Joan Edwards to the silver in the 60-64 age group. Gowland finished in 1:11.18, with Edwards narrowly behind in third in 1:11.69. Aimee Ramm won another silver medal in the 35-39 years race, finishing in 1:00.41, only 0.11 behind Germany’s Katja Otto (1:00.30). Debbie Matless claimed a bronze in the 55-59 age group in 1:09.31, while Jenny Ball, of Camp Hill Edwardians, was also third in the 80-84 race in 1:53.24. Colin Stephenson touched home first in the 60-64 age group category as he clocked 1:01.55. The Gloucester Masters SC swimmer was 0.48 seconds in front of Italy’s Massimo Tubino (1:02.03). There were also two bronze medals for the Brits in this event. Mark Reynolds, of Barnet Copthall SC, finished third in the 55-59 race in a time of 58.42, with Turkey’s Ahmet Nakkas winning gold in a new European record of 56.15. And Peter Dixon, from Tower Hamlets, finished in 57.69 in the 50-54 age group to claim the bronze. Spencer Swim Team’s Isaac Grace, Muriel Hitchcock, Tony Cherrington and Geoff Stokes claimed their second relay gold. After triumphing in the 50m Mixed Relay, the quartet added the freestyle title in the 320-359 age group to their collection in 3:25.05. Isaac (1:15.47), Hitchcock (58.43), Cherrington (35.36) and Stokes (35.79) were 1.07 seconds in front of Russia’s Moscow Masters team. Otter SC secured a bronze medal in the 120-159 age group. David Adamson (24.20), Alexis Higlett (28.55), Christopher Delahunt (26.27) and Hayley Davis (29.35) finished in 1:48.37.